← Can A Leader-Less Party Work? 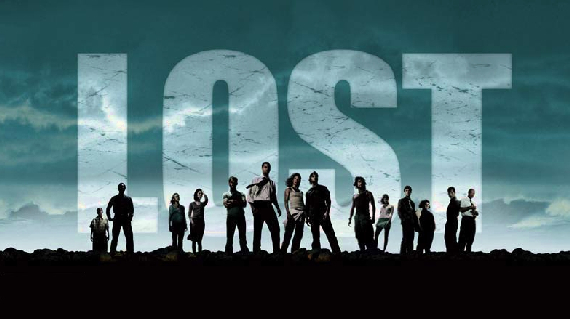 “Lost” is one of my favorite TV shows from the past decade. A narrative device used in every episode of that show was the flashback sequence, where we learned more about each individual character, showcasing important events from their life before the island. One of my favorite moments from the series was a season finale in which that episode’s flashback sequence was revealed to have been a flash forward instead, showing what would happen to the characters in the future. It was a nice twist to the formula that fundamentally altered and reinvigorated the show. Recently, Randall over at Initiative or What? has been posting solo, first level adventures he has run for his players. Similar to “Lost”, these are all presented as flashbacks, intended to flesh out backstories and introduce character themes. It occurred to me that I could use these in my campaign for a similar purpose, but then, remembering my favorite twist from “Lost”, I wondered if a flash forward adventure would work in my campaign. Last week, I decided to go for it, and ran just such a session. My PCs are level 8, just returned from discovering a temple of Tiamat in an abandoned dragon’s lair in the caverns beneath Fallcrest. One member of the party, a slayer, has taken the seer theme. I’ve given him several visions and dreams in order to tie adventures together and add to the story. 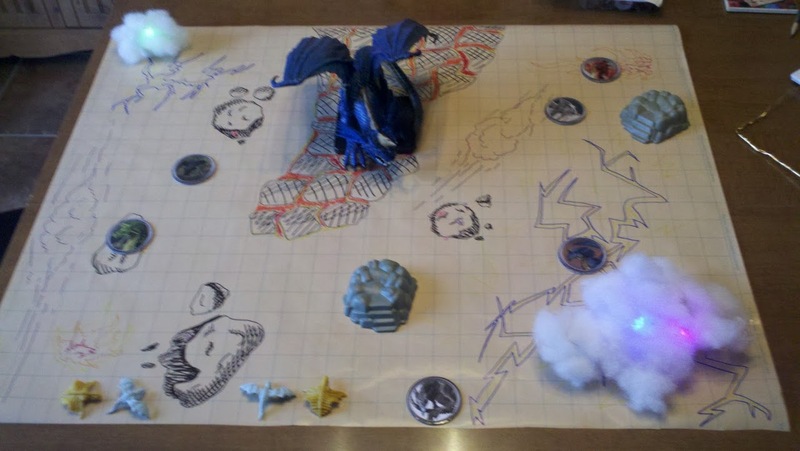 For this flash forward session, he was granted a vision of the future, so clear and vivid that we’d set up a battle map, pass out new character sheets with 25th level versions of their characters, and let them play it out. Overall, the session itself was a big success. It required a considerable amount of prep work ahead of time, but it was certainly worth it. There are several benefits to the flash forward encounter, but also a few things I’d change. There’s no denying that high-level play in 4E has its problems, but paragon paths and epic destinies are not one of them. Speaking from a purely role-playing point of view, paragon paths and epic destinies provide meaningful goals and a natural story arc for the characters. The idea of becoming a superhumanly powerful being, interacting with the gods themselves, and being directly involved in matters that span various planes of existence, is, to put it mildly, pretty cool. While I myself had some limited exposure to these things in the past, my players, being mostly new to D&D, were clueless. I decided to let them see just how exciting high level play could be by choosing an epic destiny for them. I cranked it up to 11, if you will, with my descriptions of their character’s newfound appearance and abilities. 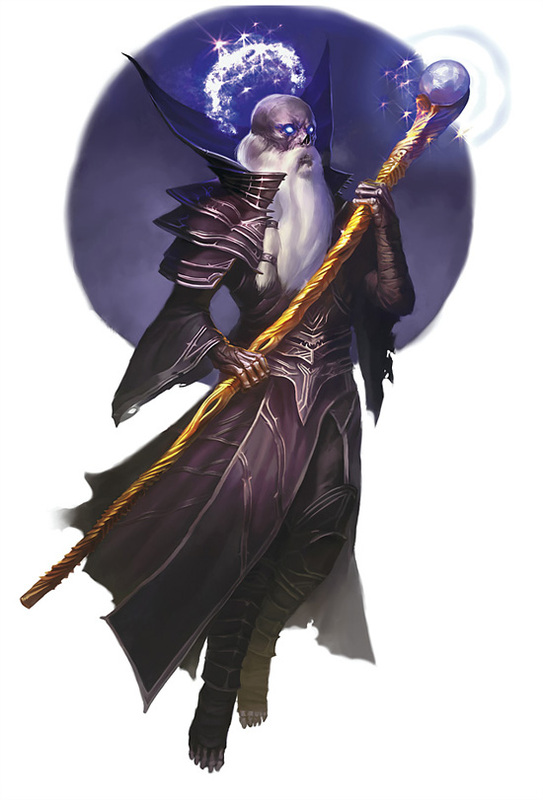 The elven wizard was transformed into an arch-lich flying on a skeletal dragon. The noble paladin became a vessel of Bahamut, imbued with all the draconic power of his master. The thief and slayer wielded weapons and other magical items of unimaginable power. I hammed it up for them as best I could, to emphasize the jaw-droppingly epic stuff that was to come. My players really enjoyed seeing the “super rock star” versions of their characters, and it added much to their interest in the campaign itself. I made a deliberate choice to be vague and non-specific with the details related to the “why?” of the encounter. I was quite descriptive about the character’s appearance, setting, and opponent, but most other questions were left unanswered. They were dropped right in the thick of the action, knowing almost nothing about the motivation behind the fight. The only real insight I gave them was short interaction with a gold dragon NPC, who told them that their draconic foe must be defeated in order to stop Tiamat’s wild plan. That was enough to provide a reason for the fight, but left many unanswered questions. Finding out the answers to these questions will give some structure to the campaign as a whole. What is so important about this enemy? What is the nature of Tiamat’s scheme? Why are the characters involved, and how did they come to ally themselves with a flight of metallic dragons, anyway? Truth be told, I don’t really know the answers to these questions. It’s something that I will develop, based on the actions of the players, throughout the entirety of the campaign. Even the descriptions of the characters provided more mysteries to be solved at some point in the future. For example, how exactly did the wizard become an archlich? In my description of the cavalier, I told of his sword and shield, made of an inky black substance, and filled with what appeared to be stars and other celestial objects. I have no clue what this strange set of items was, but I’ll be sure to include a quest for it at some point. I described that the slayer had lost his hand in battle and it had been replaced with a fist made of solid light. When will he lose his hand? How does it get replaced? Again, I don’t know, but I can’t wait to find out. By giving the players a few details about a possible future, but not spelling everything out, a sense of excitement is injected into the campaign. The players want to know how they get from point A to point B, and I look forward to getting them there. Thus far in our campaign, the environments and settings the group has explored have been fairly standard for heroic tier. Most of the action has taken place in classic dungeons and caverns or realistic outdoor locations like farms and woodlands. There’s nothing wrong with this, necessarily, but D&D certainly has a lot more to offer. The flash forward session gave me a chance to showcase this. I chose the Elemental Chaos as the setting for the adventure. Briefly, I’d considered the Abyss, but decided against it because I wasn’t sure I could do it justice in one short session. The Elemental Chaos, on the other hand, was something more easily understood, not as clearly defined (which allowed me some wiggle room), and yet extremely evocative and interesting. Without an appropriate battle map, I grabbed a trusty sheet of Gaming Paper and drew up a map by hand. A huge peninsula of molten rock, barely cool enough to stand on, dominated the board. Smaller, crystalline outcroppings floated next to huge spheres of flame. The corners of the map were huge whirlpools of lightning, topped with cloud props (made with quilt batting lit with tiny strobe LEDs). I’m really not much of an artist, but just half an hour with colored sharpies was enough to show the players something they’d never encountered before. 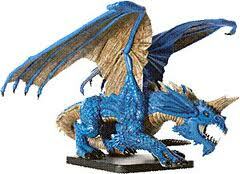 Their opponent, too, was quite different than the standard fare: I used the gargantuan blue dragon mini I picked up at Origins this year. I’d been looking forward to plunking that thing down on the table for months now! The flash forward session allowed me to do just that, without waiting another two years until the group levels up enough to fight one naturally. Using the stats for an elder blue dragon in the DDI tools, plus the principles from Mike Shea’s excellent article on a similar epic-level dragon, I was able to create a challenging red/blue dragon hybrid that ended up being a significant challenge for the group. An exotic environment and intimidating opponents are a big part of what I look forward to in an epic level campaign. By using the flash forward technique, I was able to let the players get a small taste of what is to come, and also a bit of insight myself into how the game will play differently at high levels. Overall, the flash forward session was a big success. The players had a great time with it, and so did I. But there were a few issues. Perhaps the biggest problem with skipping forward to epic level is the fact that it’s epic level. It’s no secret that the massive amount of abilities, skills, and items available in high-level play can be a problem. 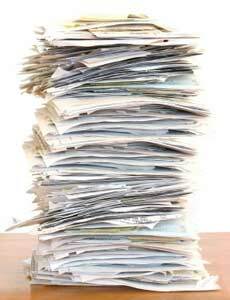 For one thing, it was a big headache to even create the character sheets. I had to export and then import each character, push the level up button until they hit 25, and then mess with all the feats, powers, and equipment. I had originally planned to use the “pick for me” option in the Character Builder, but when I did, totally useless stuff showed up, like both rod and wand specialization for the slayer. I ended up changing probably six to eight feats and powers per character, and probably made very weak characters due to my inexperience. For simplicity’s sake, I gave only the most basic magic items. Still, creating the sheets was quite an ordeal in and of itself. The problem was even worse when I gave the sheets to the players. Even for Essentials classes, the character sheets were overwhelming. There were so many options available that turns went very slowly. Analysis paralysis was a big factor; it was really too much to process, and I should have foreseen that. If I could do it over again, I think I would use the DDI monster tools to create a reasonable facsimile of 25th level characters, and let them use the monster-template style sheet instead. The goal was to make them feel heroic and powerful, and that could easily have been accomplished with an abbreviated character sheet. The flash forward was an interesting narrative device for “Lost”, and it’s great for any D&D campaign, too. The players get to see how awesome their characters will become at high levels. You can set up all sorts of questions to answer later on in the story. And the unusual environments and scary opponents of high level play are a nice change from low-level dungeons filled with kobolds and orcs. If you are looking for a way to add a bit of spice to your campaign, give the flash forward session a try. This entry was posted in D&D, DM Advice, Dungeons & Dragons, Roleplaying and tagged DM Advice, What I Learned. Bookmark the permalink. The character sheet issue and analysis paralysis could have been dealt with if you had been able to pre-prep the charsheets and hand them out at the END of the session prior to the “flash-forward”, giving them the time in between game sessions to learn the “rock star” version’s powers and abilities. That would have taken care of the analysis paralysis, true. However, it would also have totally taken out the element of surprise. The sense of wonder and excitement was due, in large part, to the unexpected nature of the encounter. I’m not sure sacrificing that would have been worth the tradeoff. I would have left it at a cliffhanger– start the vision, do the description of the “evolved” characters, describe the baddies– all as if it’s going to be just a GM-fed exposition. Then suddenly end the game session, and hand out the evolved character sheets. Let them study the sheets for however long you have in between sessions and come to the next one itching to know how their characters got all these cool abilities, and ready to rock and roll. So, if the characters decide to do something different with their characters, or if the characters experience irreversible death, does that mean the slayer’s “seer-like” abilities are a bit off, or perhaps are being tampered with? It could mean all manner of things. Perhaps it was one possible future. Perhaps it was an alternate timeline. Perhaps it’s just not an exact vision, or maybe some malevolent force is messing with him. Any way you look at it, it’s interesting.